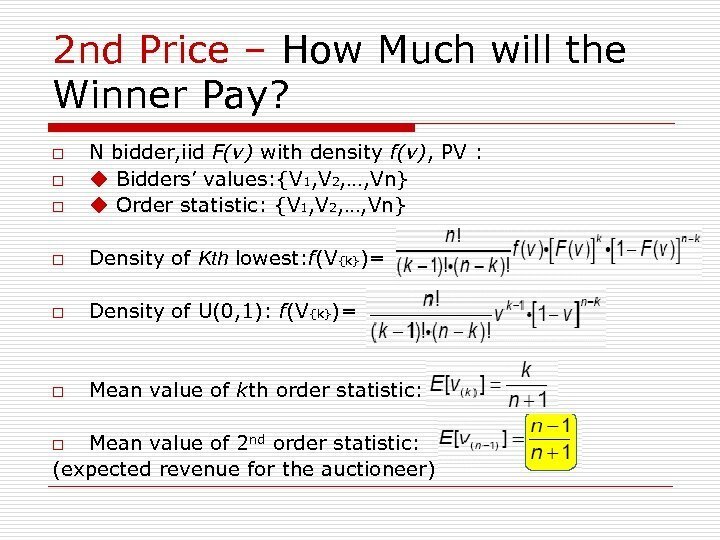 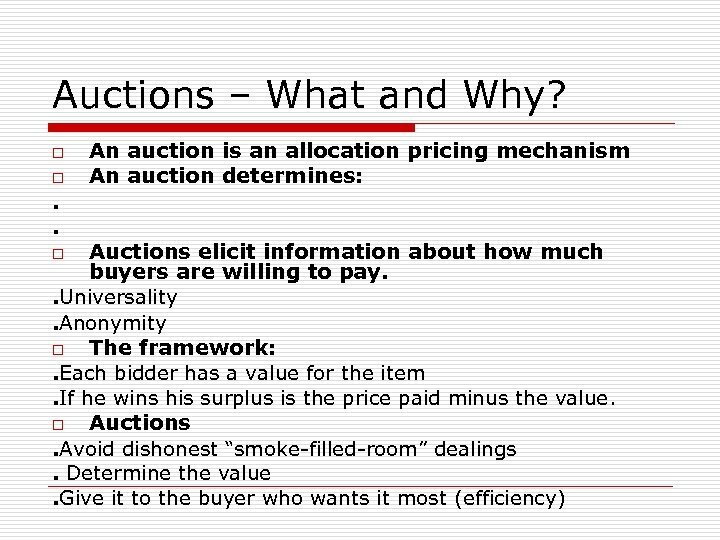 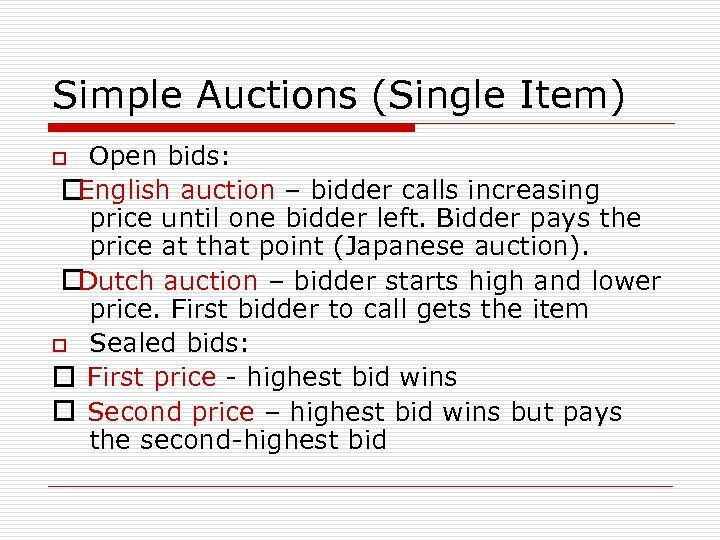 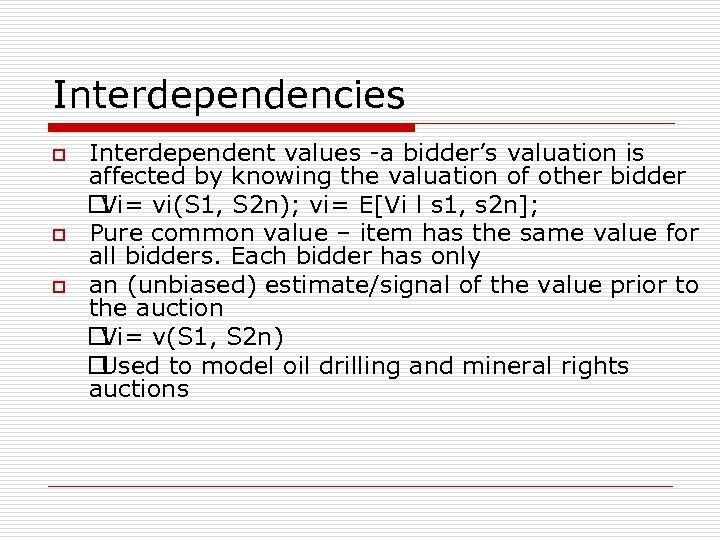 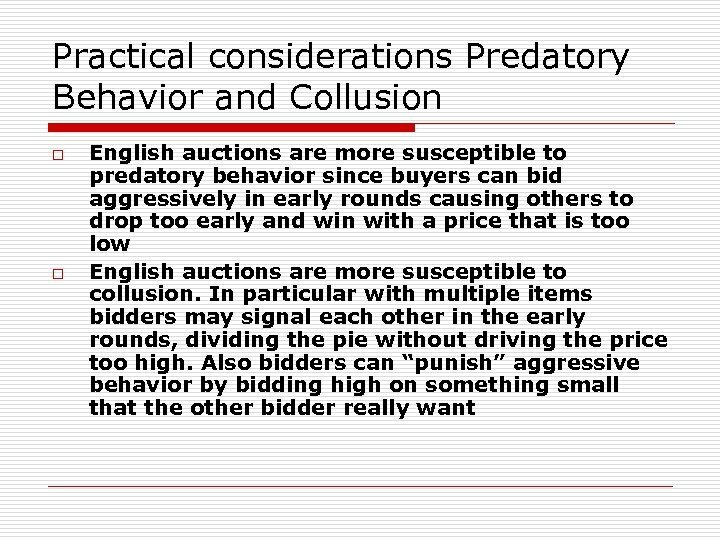 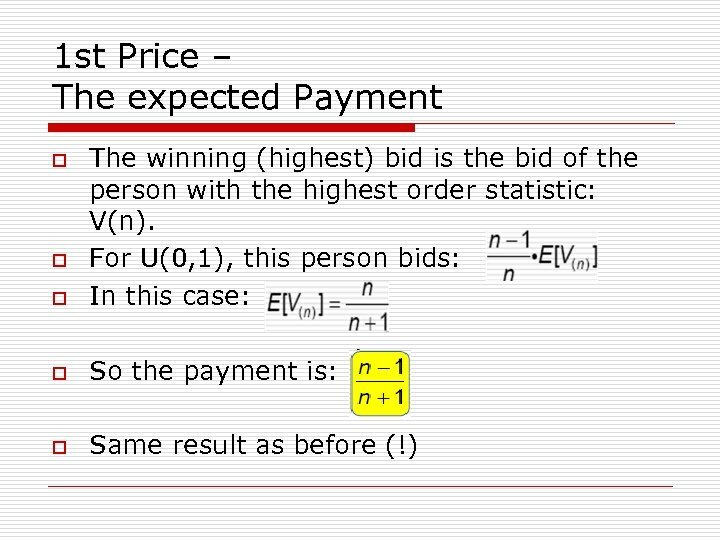 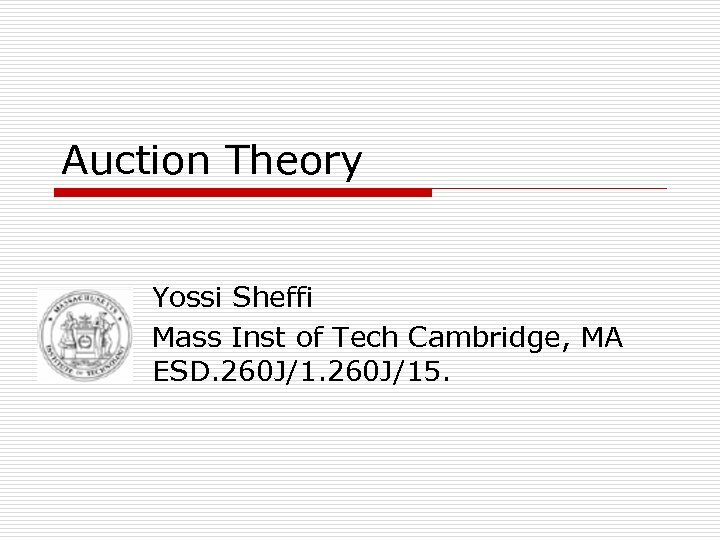 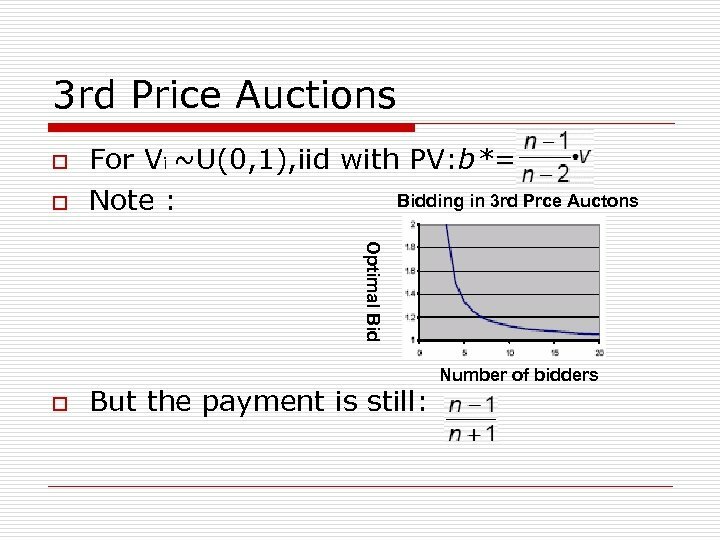 Auction Theory Yossi Sheffi Mass Inst of Tech Cambridge, MA ESD. 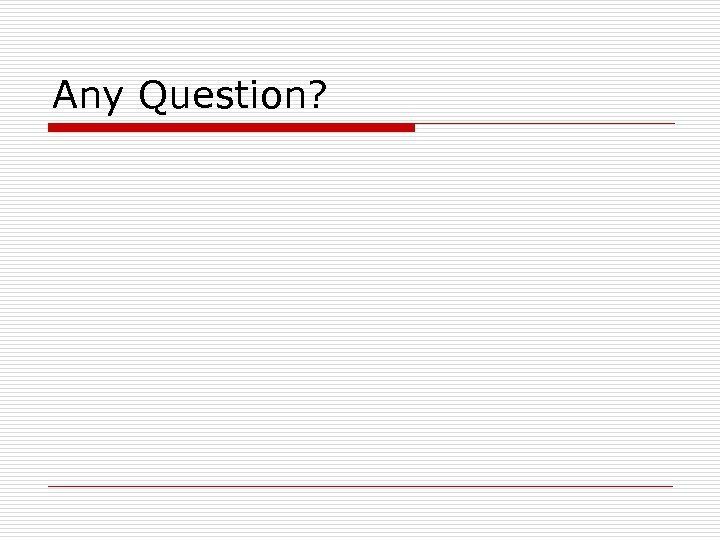 260 J/15. 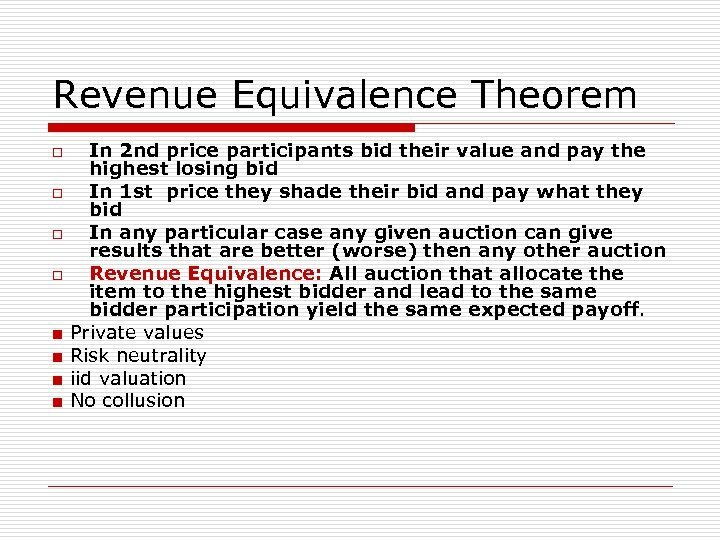 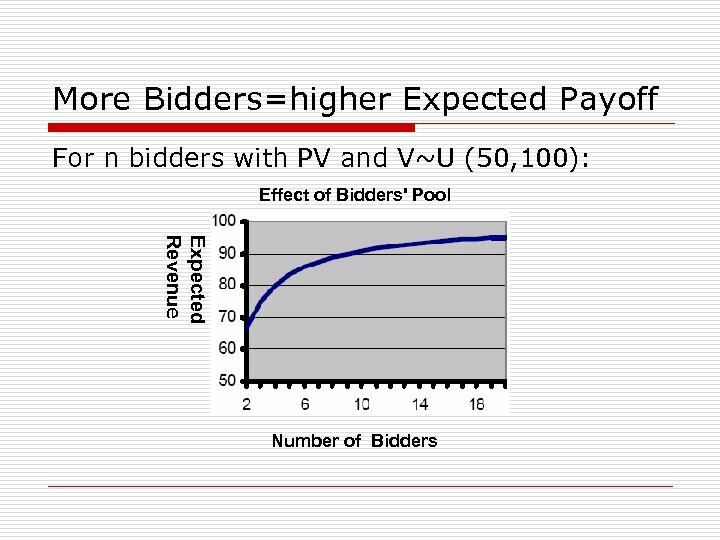 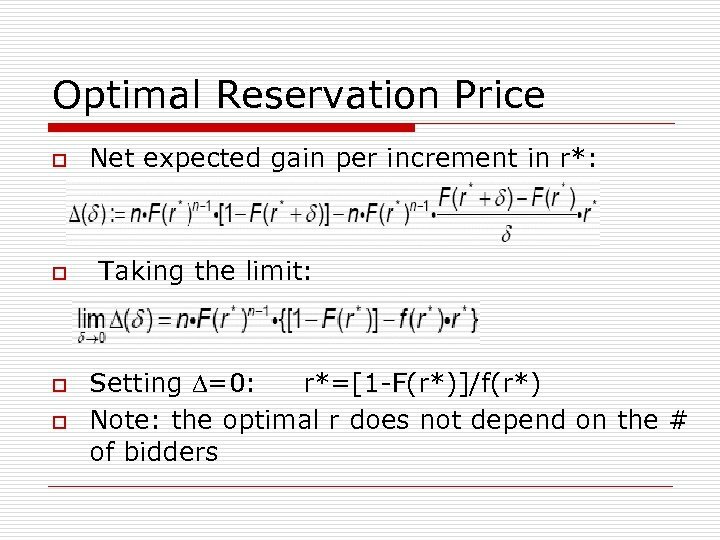 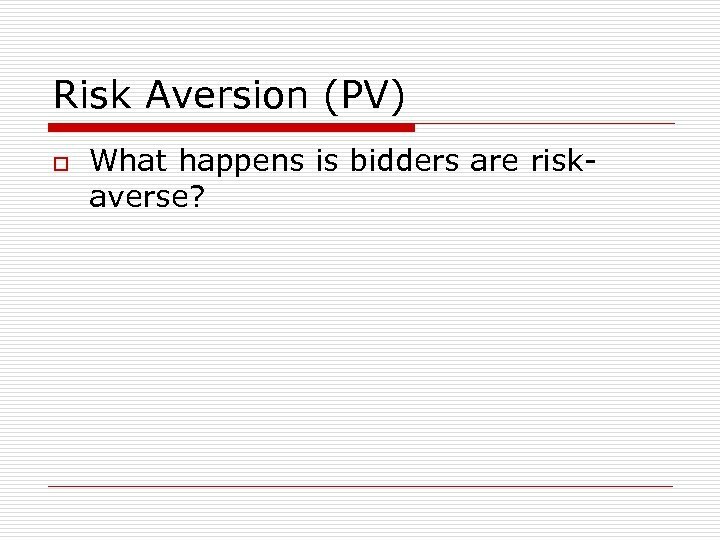 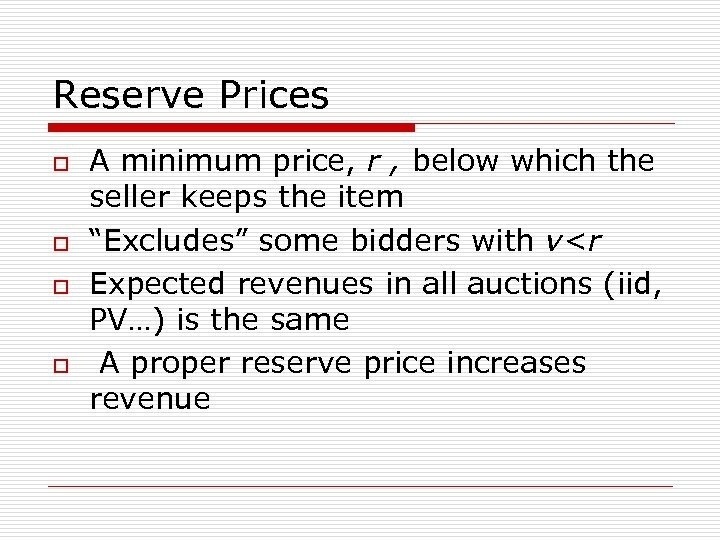 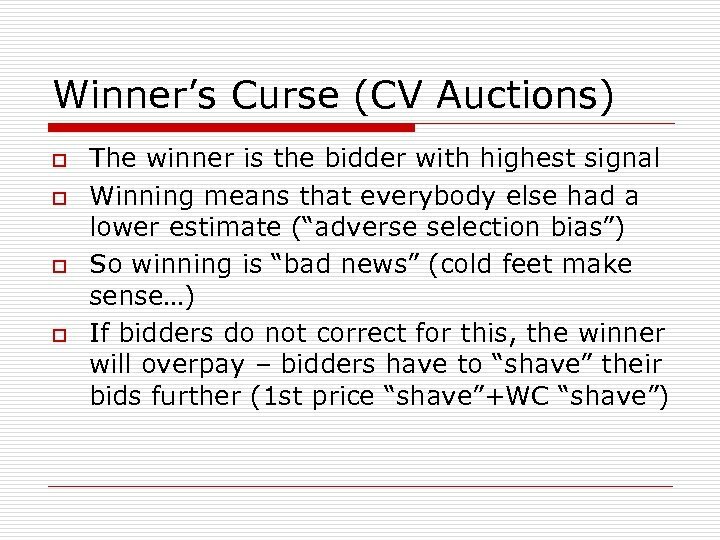 Risk Aversion (PV) o What happens is bidders are riskaverse? 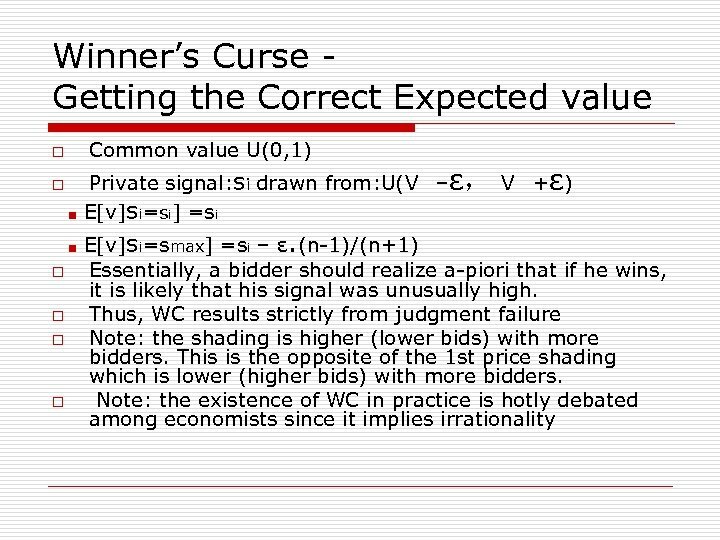 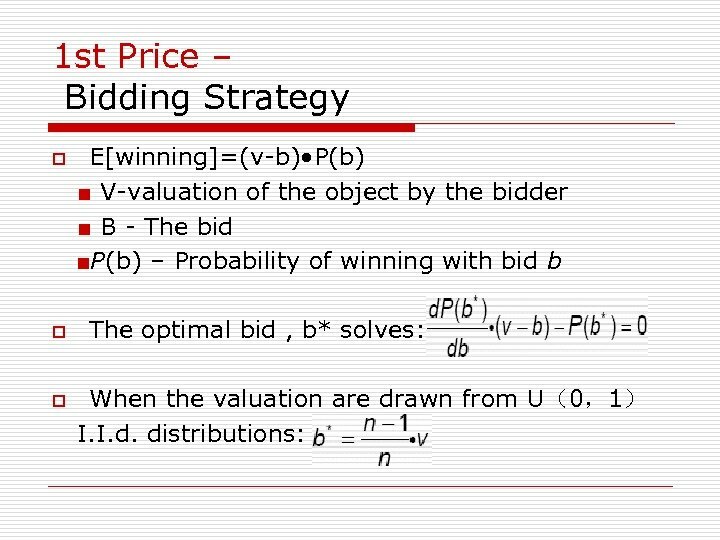 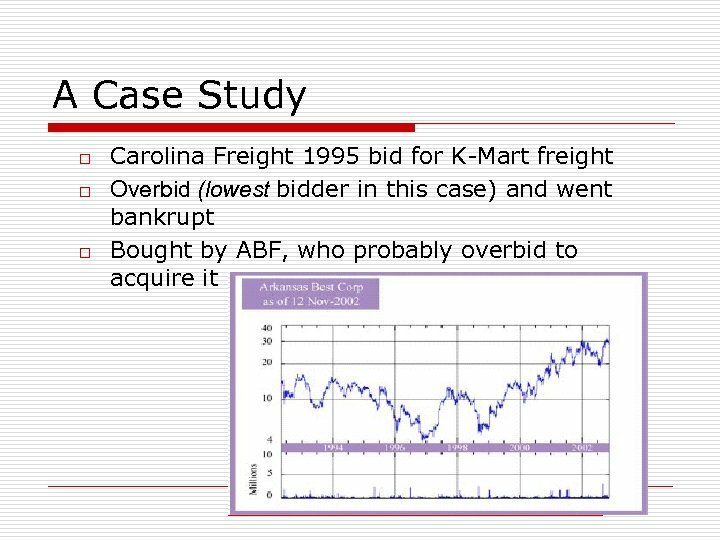 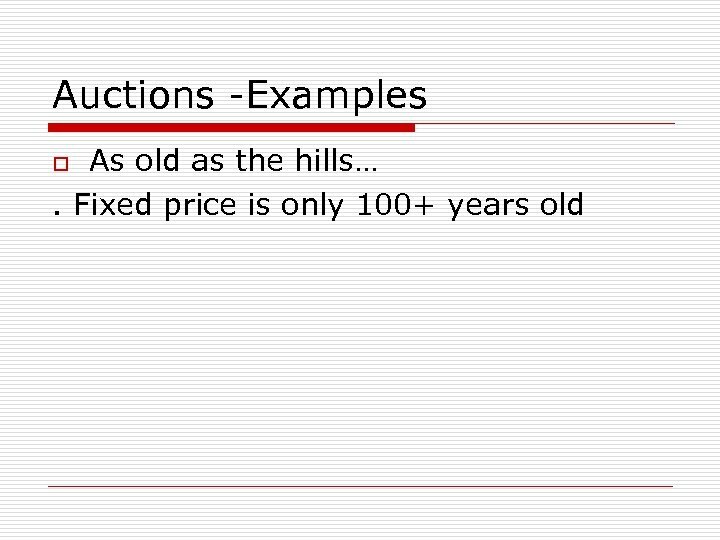 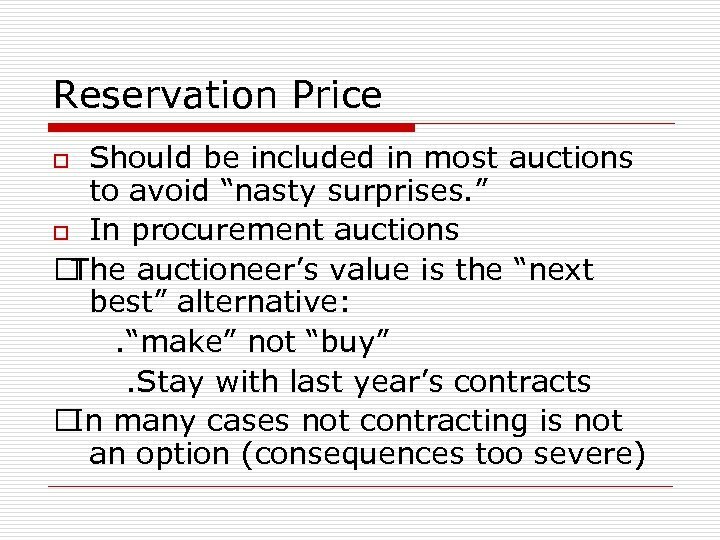 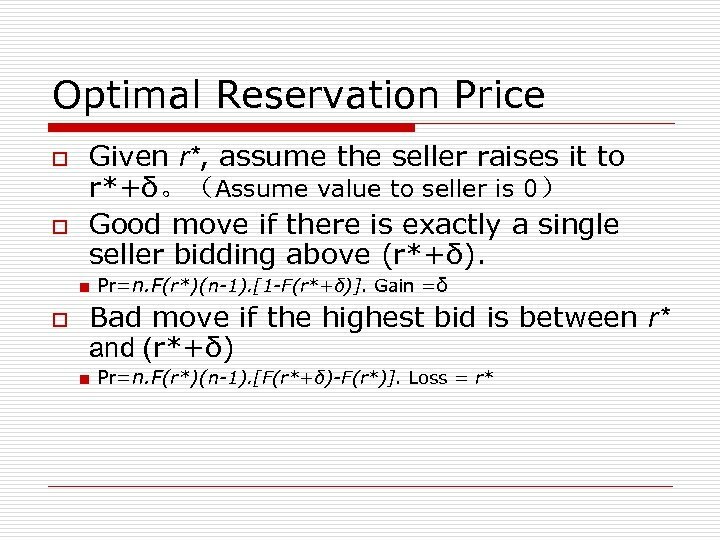 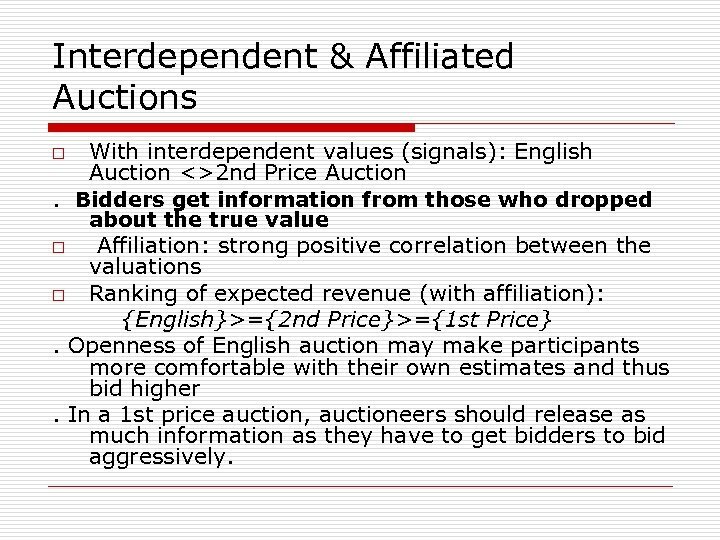 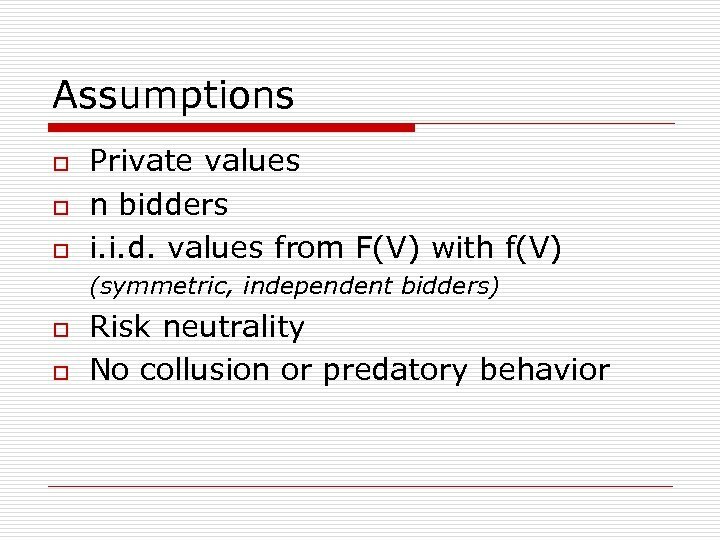 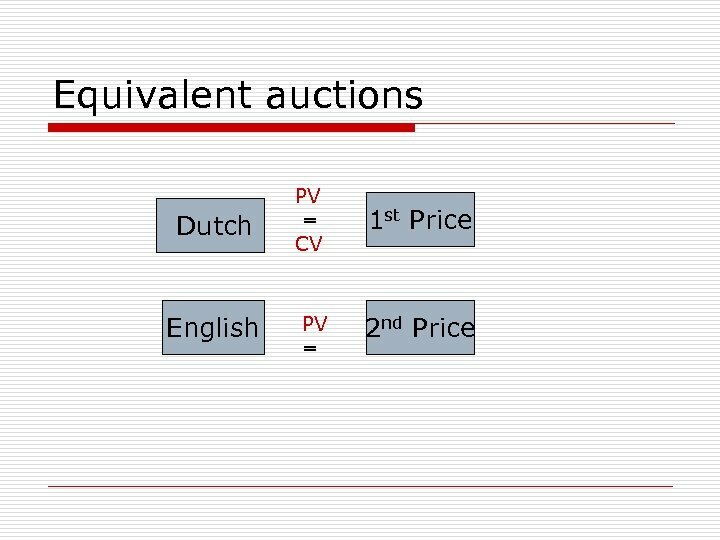 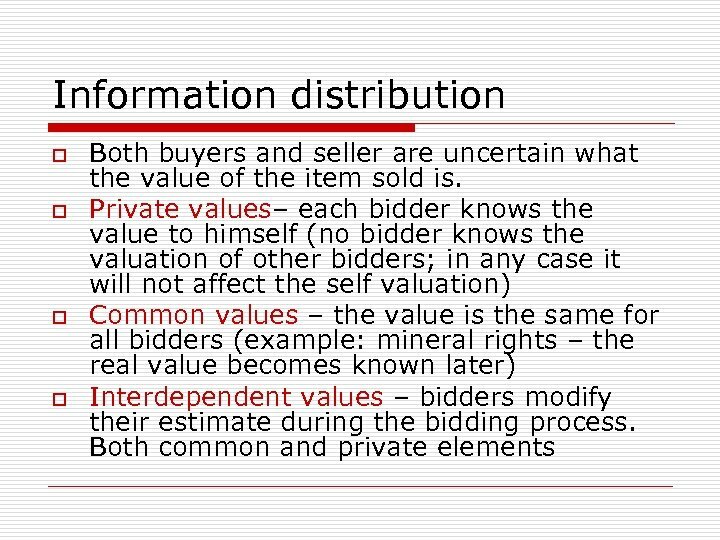 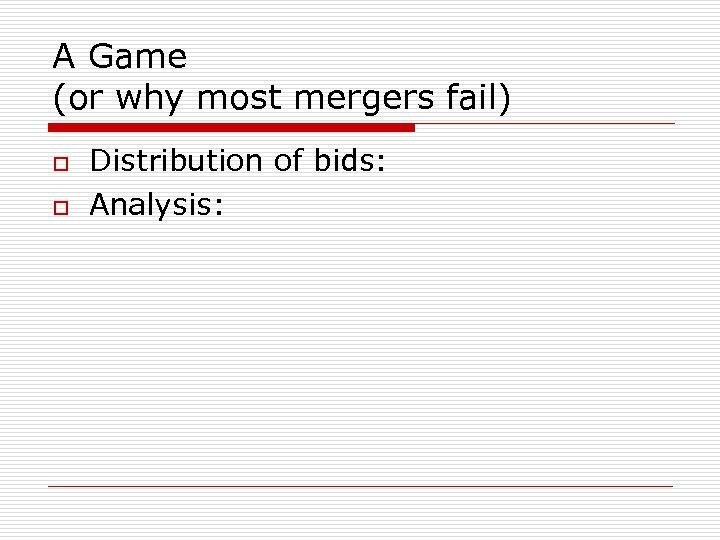 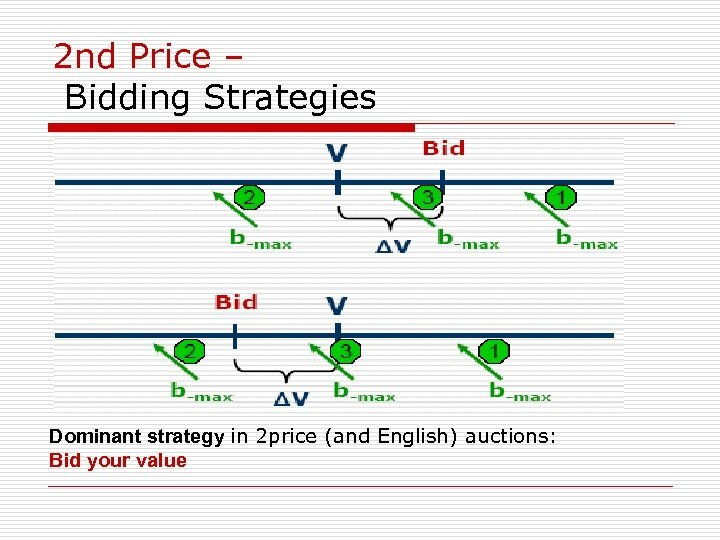 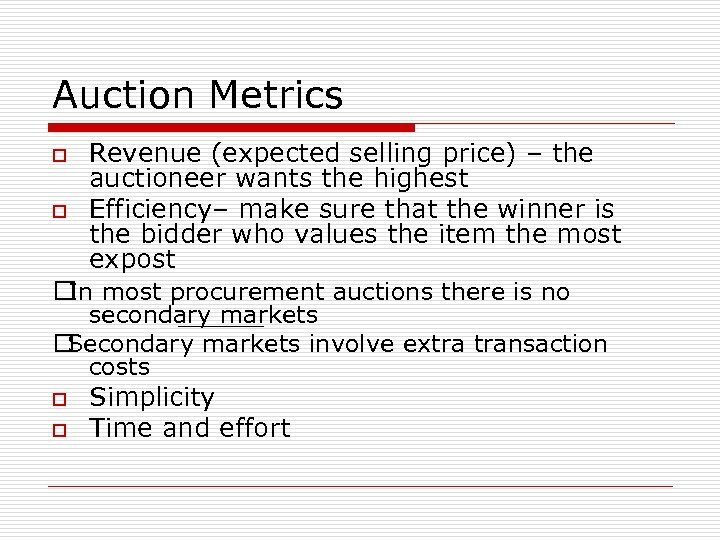 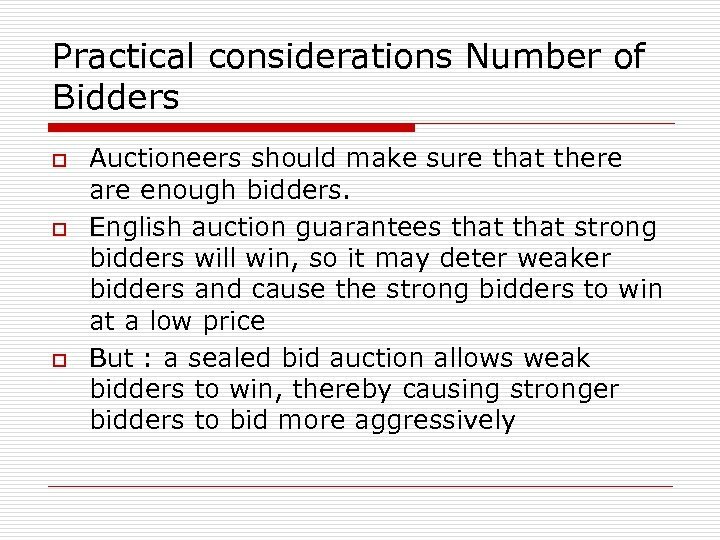 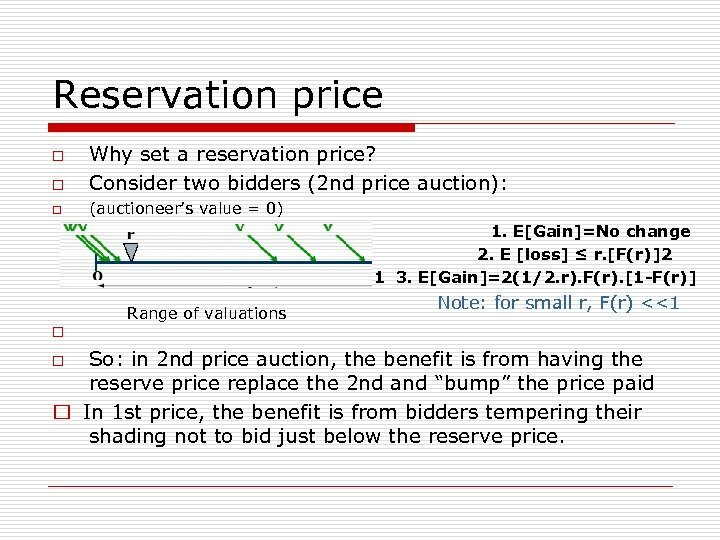 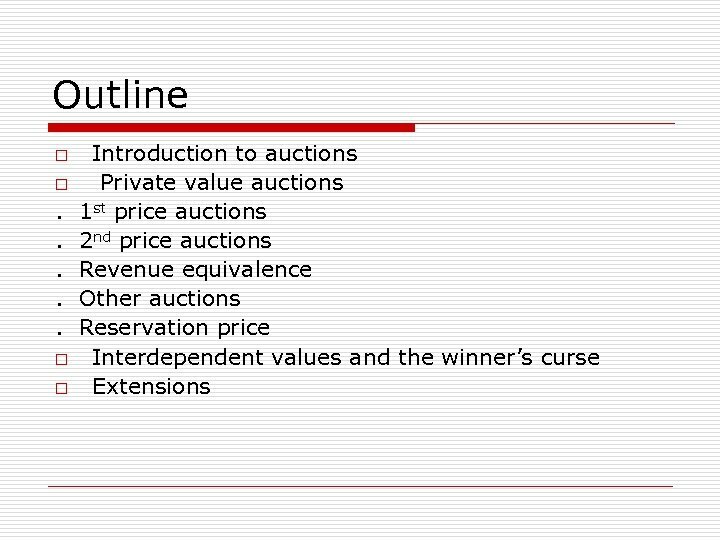 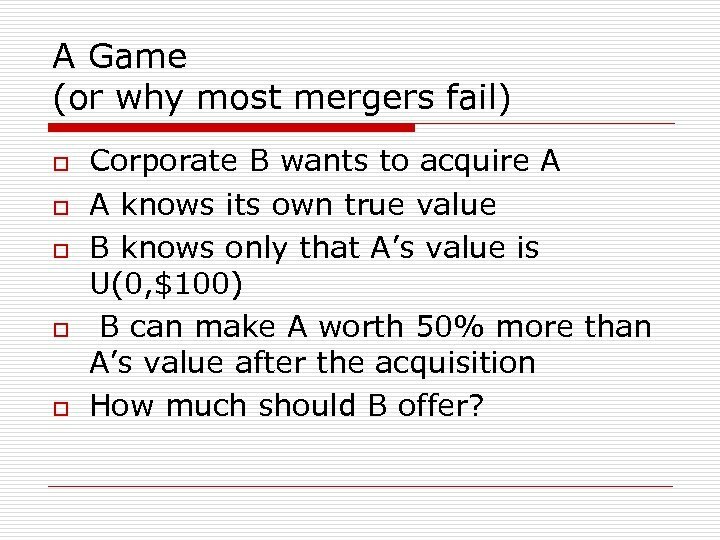 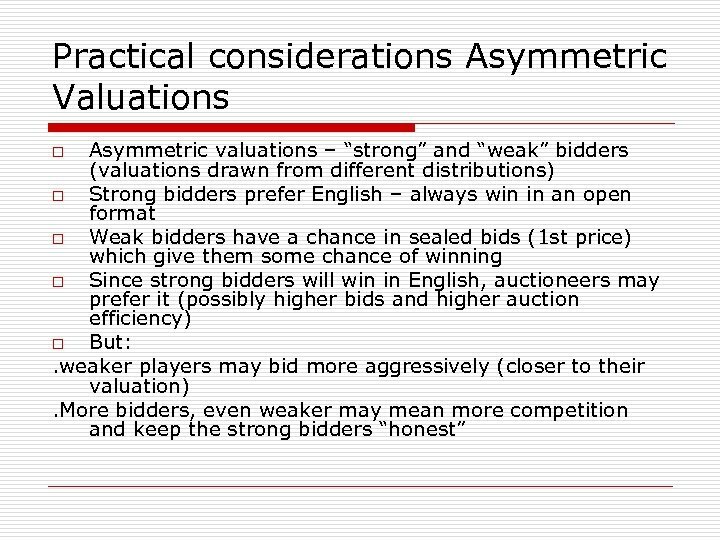 A Game (or why most mergers fail) o o o Corporate B wants to acquire A A knows its own true value B knows only that A’s value is U(0, $100) B can make A worth 50% more than A’s value after the acquisition How much should B offer?